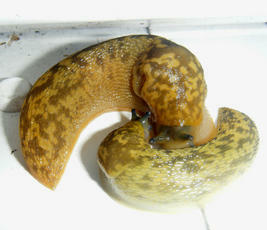 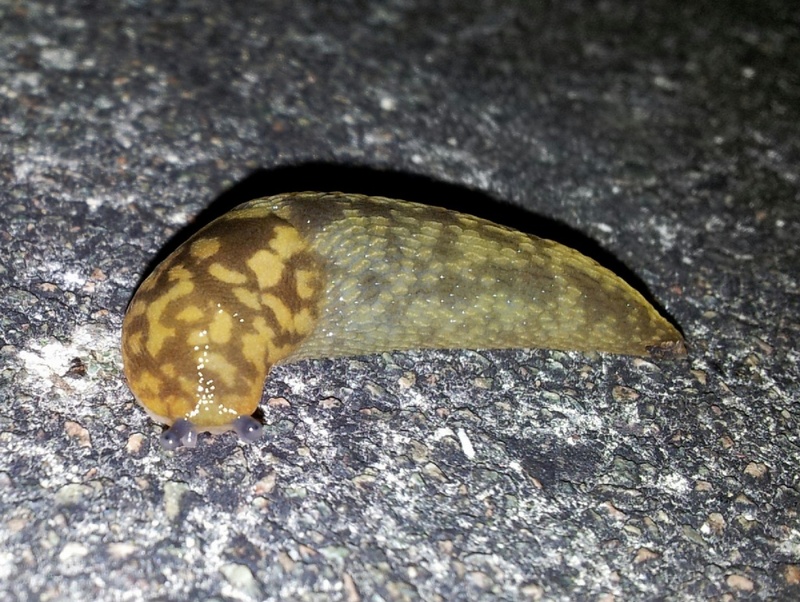 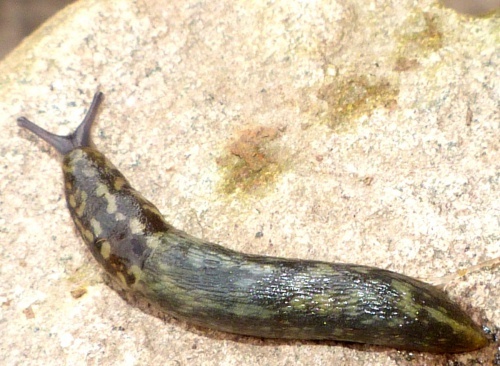 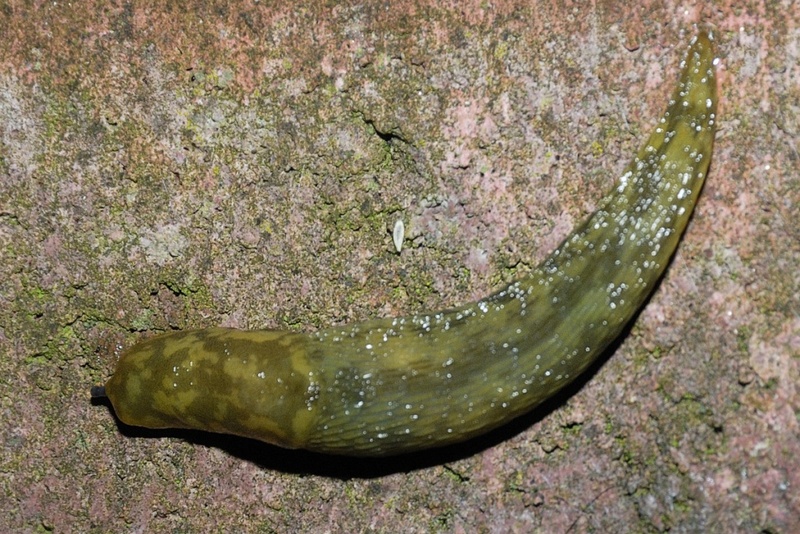 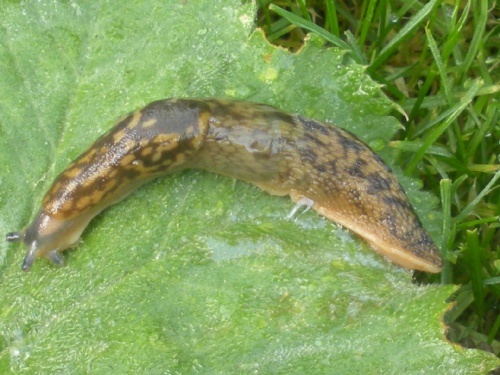 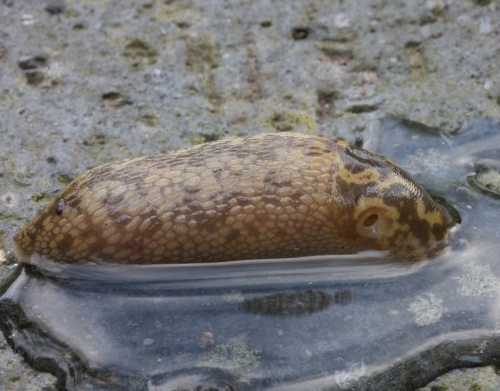 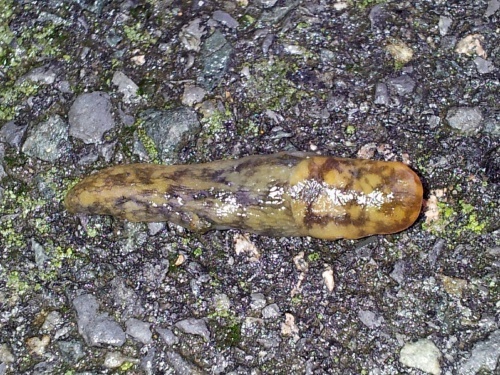 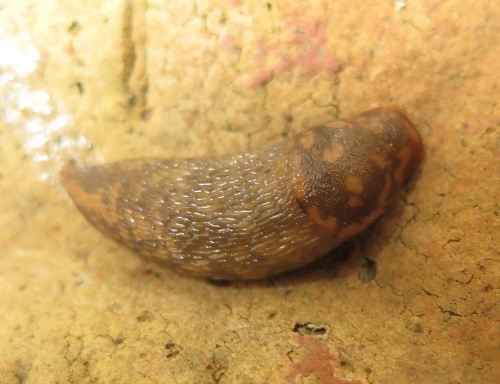 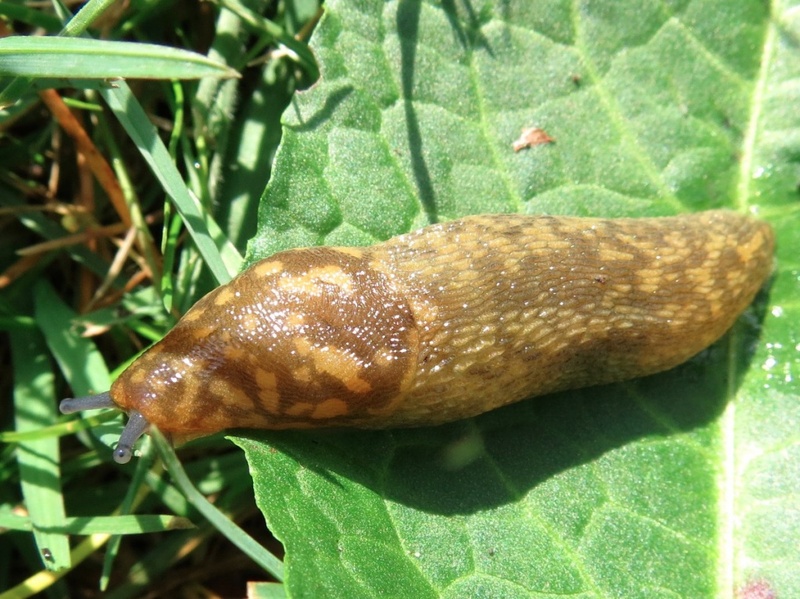 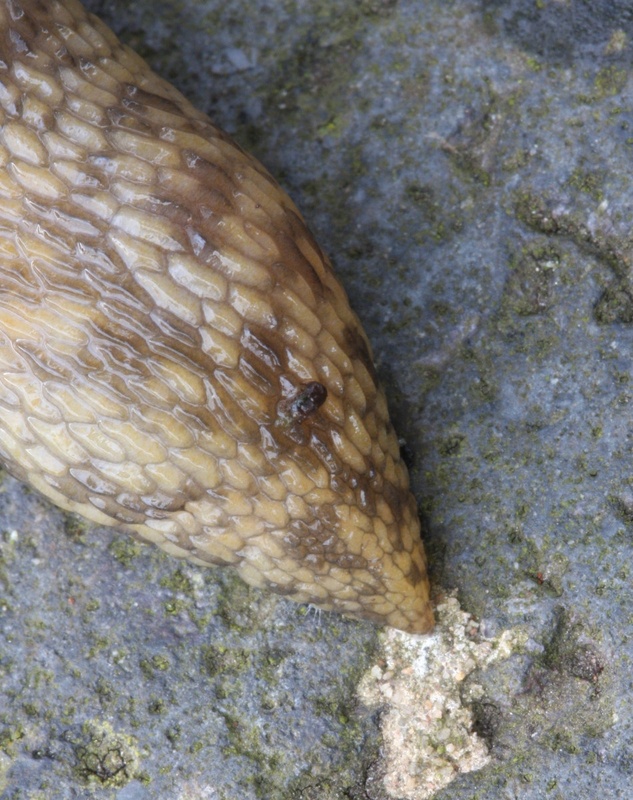 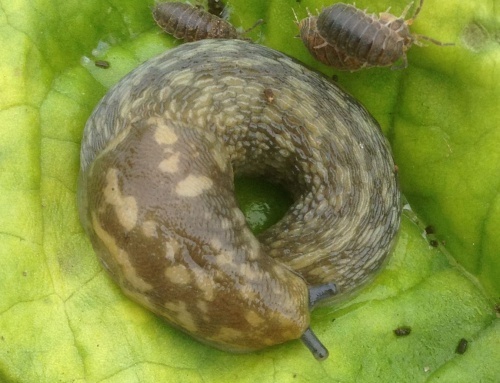 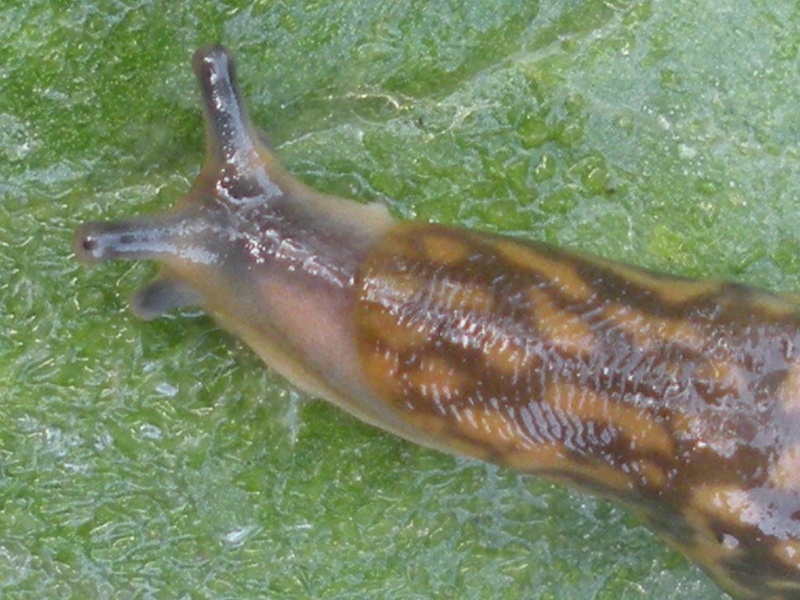 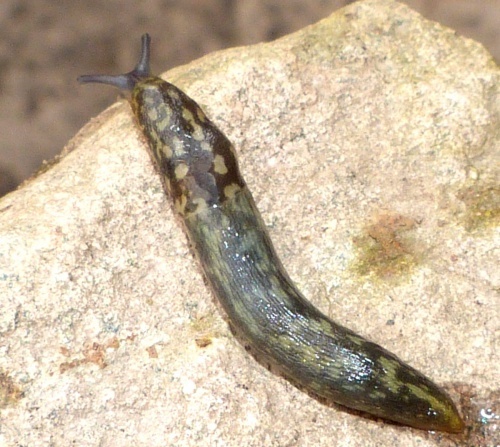 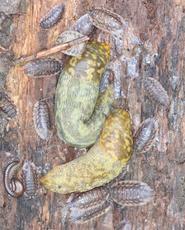 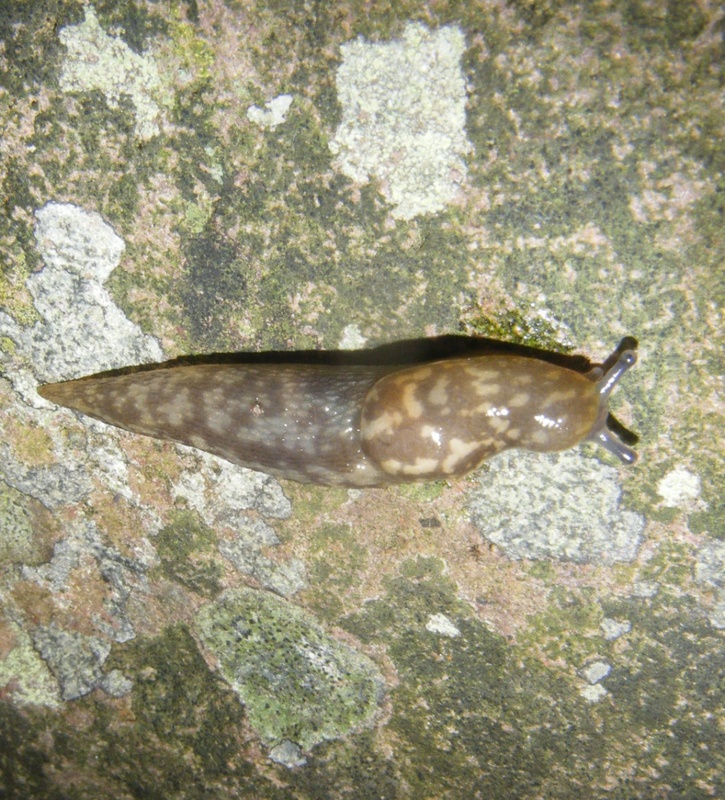 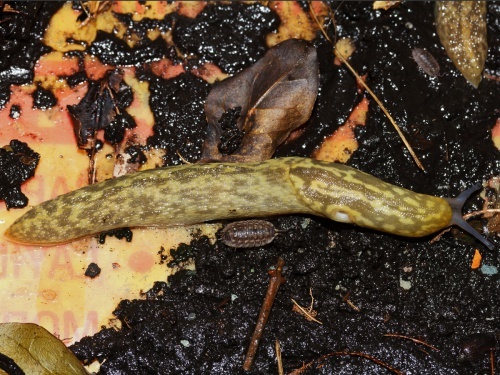 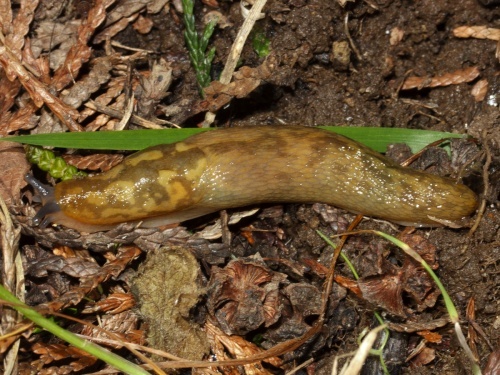 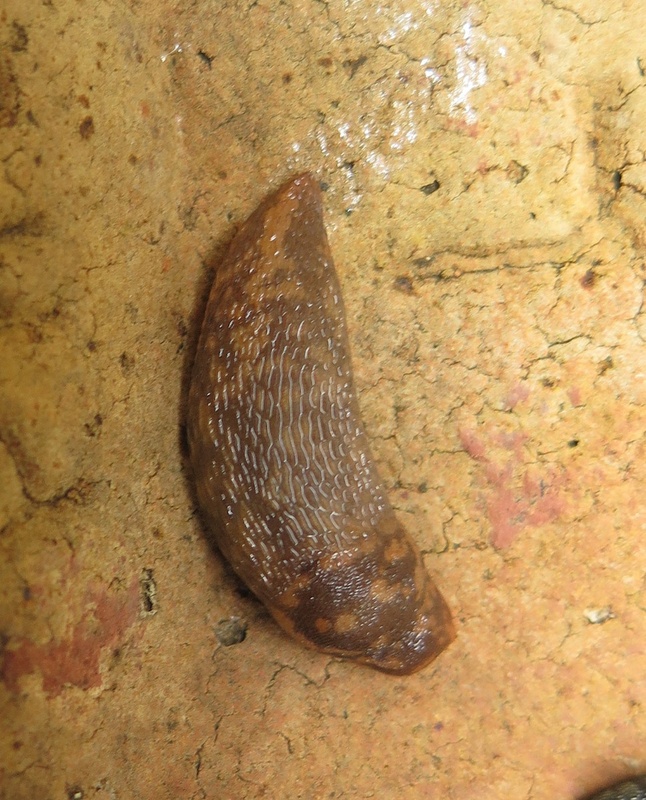 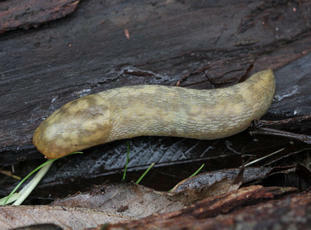 This medium to large (70 to130 mm long) slug is green to dull yellow with darker blotches. It has grey to blue-grey tentacles and colourless to yellow or orange slime. 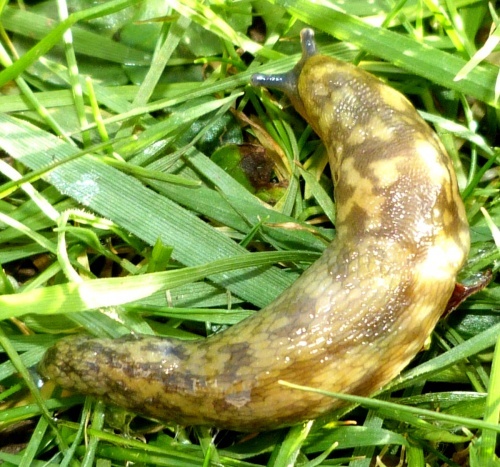 It may have a yellow stripe at the tail end but this doesn't extend more than half way along the body, and is usually much shorter. 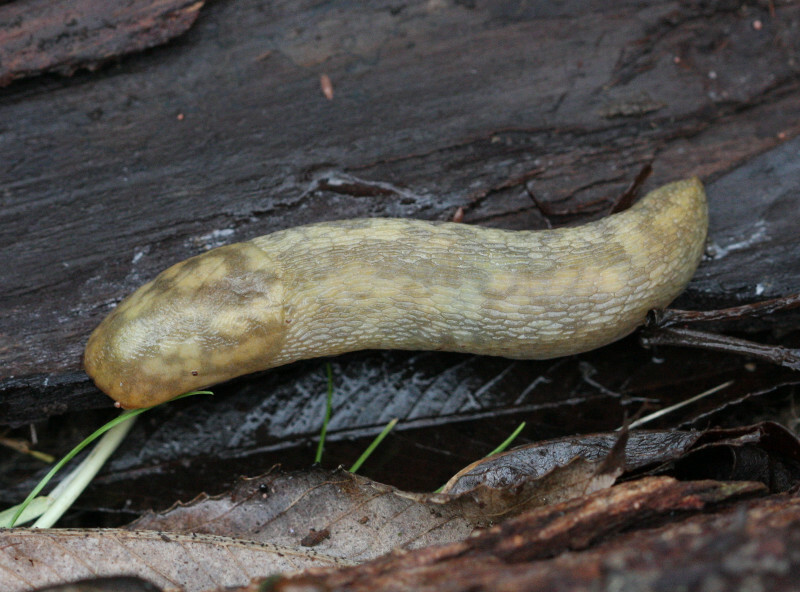 Limacus flavus, the Yellow Slug, is very similar but is a brighter yellow with smaller spots and blotches. The tentacles are blue, rather than the blue-grey of L maculatus. 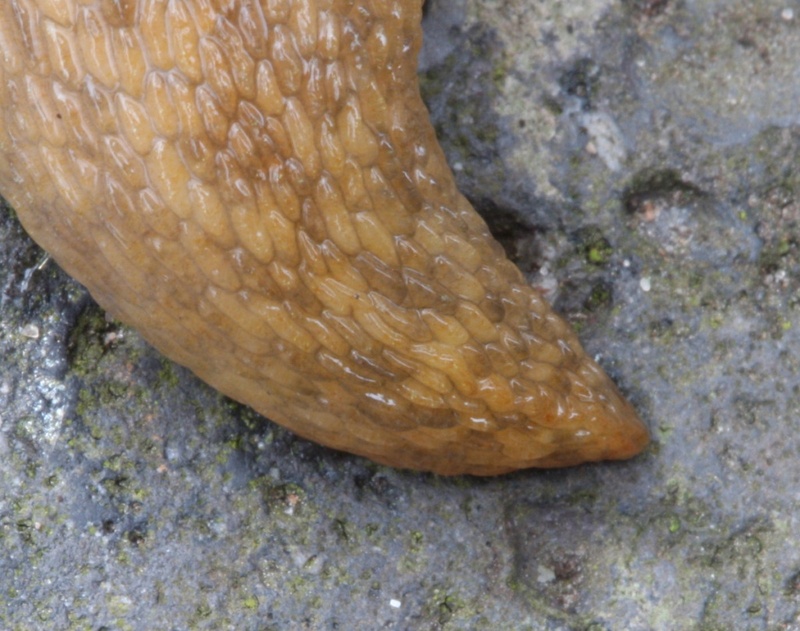 L. flavus has a yellow line along the keel that extends from the tail to around half the body length or beyond, though it may become broken into dashes. 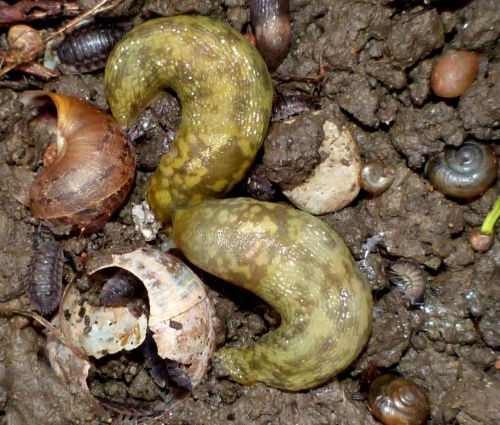 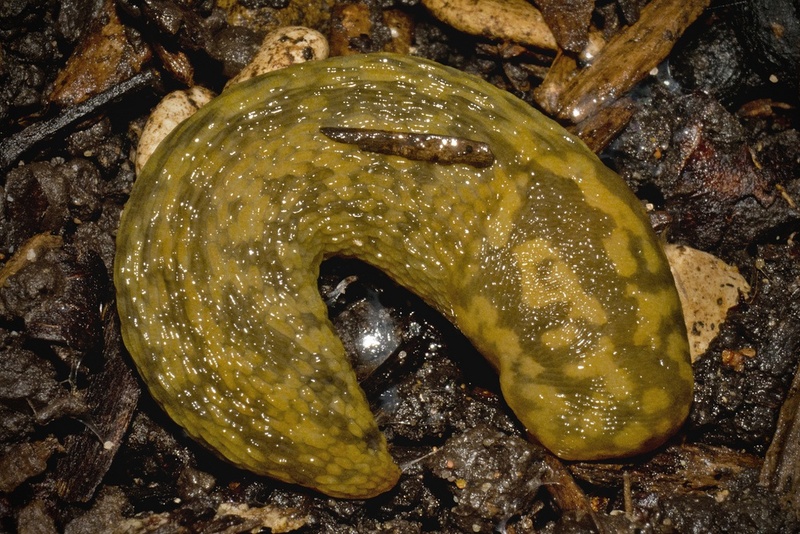 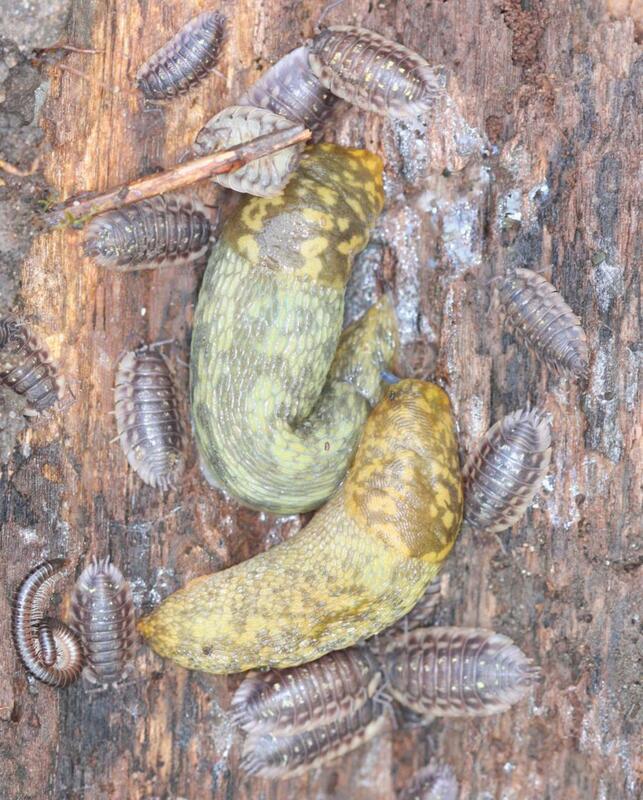 Both Yellow Slugs are variable species, but they normally lives in colonies so it is helpful to look at several individuals to see the overall traits, though beware that they can live together. This species has been expanding its range across Britain and seemingly replacing Limacus flavus along the way. 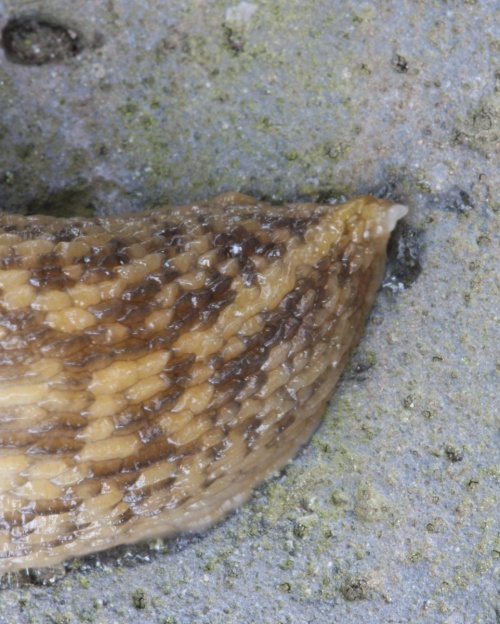 It may be under-recorded due to confusion with Limacus flavus but is expanding its range. 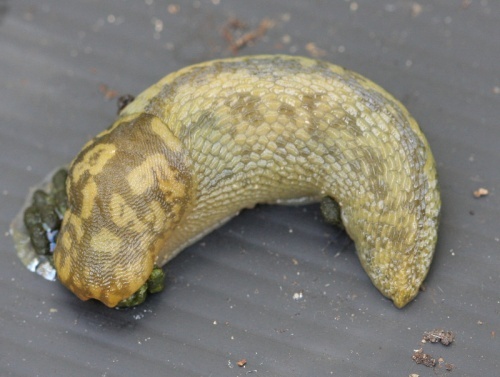 Uncommon or under-recorded in Leicestershire and Rutland.